A career in journalism can mean working for a large metropolitan or national newspaper, a TV broadcast station, or a magazine. Entry-level positions also exist at smaller local publications. A successful career as a journalist takes dedication and a high level of energy. Journalism can be an exciting career for someone interested in gathering, reporting, and analyzing information and presenting that information in a way that will be understood by others. Journalists are communicators by nature and are committed to playing a leading role in keeping the public informed. It is a competitive field that has changed dramatically over the last few years and is expected to continue changing as technology advances. in journalism require people who are independent, flexible, creative, and highly innovative. Some would say that a journalist also needs to be persistent and even aggressive to be able to capture that next breaking news story. Fluency in a foreign language can be a huge bonus for those who would like to cover international stories. in journalism require a strong command of the English language and highly developed . Additional courses that provide a good foundation for careers in journalism include , business, history, sociology, , economics, and psychology. Working in the field of journalism requires excellent IT skills such as graphics, desktop publishing, and photography because many entry-level positions combine the responsibilities of reporter, photographer, writer, blogger, and vlogger (video-based articles). Jobs in journalism at large metropolitan and national newspapers, broadcast stations, and magazines are competitive. Most employers prefer individuals that have a bachelor’s degree in journalism or mass communications as well as broad demonstrated experience. Practical experience gained at school newspapers or broadcasting stations as well as with news organizations are critical requirements for jobs in this field. A graduate degree may be helpful for those looking to advance in the field. There are a number of master’s and Ph.D. programs available in journalism. 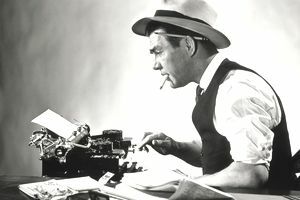 A graduate degree and/or in-depth knowledge in the field that a journalist will cover would most likely be a requirement for a high-level position. An advanced degree in education or are highly applicable. The offers some good suggestions for finding your first newspaper internship or job. Working hours usually vary and can be very hectic. Last minute news reporting requires long and irregular hours. A job in journalism often includes many demands and substantial pressure to complete last minute assignments in record time. Moreover, journalists covering political uprisings, wars, fires, and weather-related events are often in danger. Depending on the job, frequent travel can be required. Journalism is an exciting and competitive field requiring perseverance. Here are some​ for finding internships and jobs in the industry. Employers seek qualified candidates with relevant experience when making their hiring decisions. Completing several internships in different publications will increase the likelihood of becoming a full-time employee. Most entry-level positions are available at small broadcast stations and publications. Some examples of jobs in the journalism industry include news analysts (, newscasters), reporters, editors, weathercasters, sportscasters, news correspondents, commentators, and columnists.